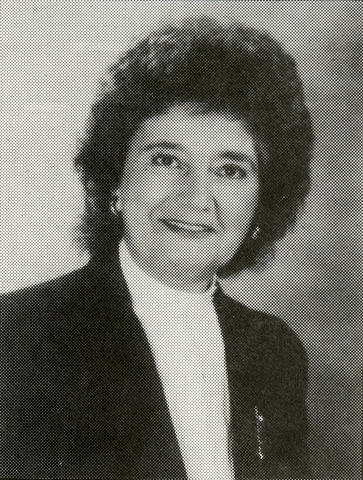 Eva Wardlaw was a North Bay educator, city councillor, and volunteer administrator. Born in 1928 in Athens, Greece as Evanthia Mihelakos, in 1932 she immigrated to Canada with her family, who settled in North Bay. From 1960 to 1986, Wardlaw taught as a teacher, vice-principal, and principal at the Paul Davoud School at Canadian Forces Base North Bay. She also served on North Bay City Council as an alderman/city councillor for nine years. Wardlaw has volunteered with many local organizations, serving on the board of the Nipissing Children's Aid Society, Nipissing University's Board of Governors, and the Board of Directors of the North Bay-Mattawa Conservation Authority (NBMCA). Her long service with the NBMCA (from 1979 to 1997) was recognized with the naming of Eva Wardlaw Park (now Eva Wardlaw Conservation Authority) in 1997. The image linked to this description is a portrait of Eva Wardlaw from an election leaflet (in file 0243-07 "Ephemera") from around 1986.